QUESTION: What do you look for in a hunter? What is your idea of a “classic hunter”? 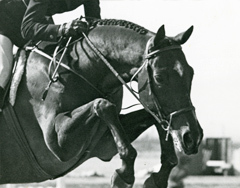 Although standards exist for high-level judges, judging hunters is largely subjective, based on style, jumping form, even strides, technique and overall impression. We ask the judges for their overall preferences and criteria for the “ultimate” classic hunter.